It is January, so for many people, that means many new year's resolutions have happened and people may be beginning to struggle. Quite a few of our friends have made it a goal for 2019 to be healthier and so many of those people have also made it a goal to travel more. But more often than not, there are plenty of us out there who struggle to stay feeling healthy while traveling. Getting on a plane with a hundred other individuals is already uncomfortable as it is, but when you add in the cold and flu season factor it also means taking a gamble on your health and well being whenever you get on a plane. For many of us, traveling can be a necessity for work or even if you have spent months planning a vacation and spend hundreds or even thousands of dollars on a trip, it is hard to throw it all away just because of a runny nose or a pesky cough. This year, we definitely plan to travel more and we are well aware of the likelihood that we will either travel while sick or encounter other people who are sick while we are flying. Today, we are sharing some tips for traveling and flying during the cold and flu season as well as talking about a Sleepytime tea that is an absolute necessity for us when we fly during this time of year. 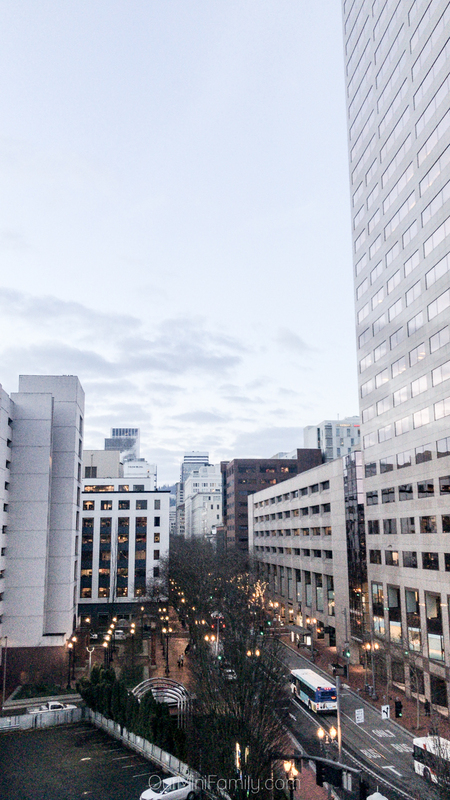 Adjusting to time zone changes can feel brutal any time of the year, but especially during the cold and flu season around this time of year. 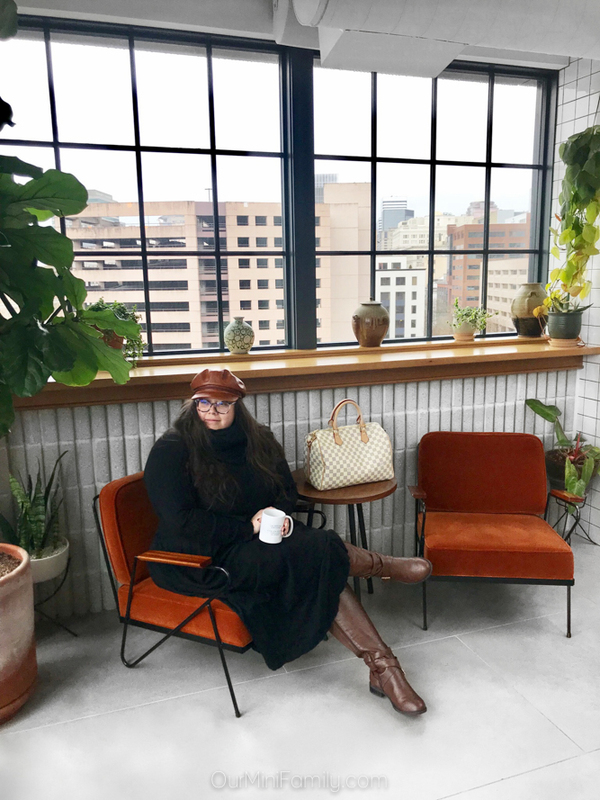 All throughout the colder months, traveling can leave you feeling tired and drowsy, but it can alternatively lead you to feel unnecessarily alert and unable to relax. When it comes to traveling during this time of year, I usually end up dealing with the latter situation. 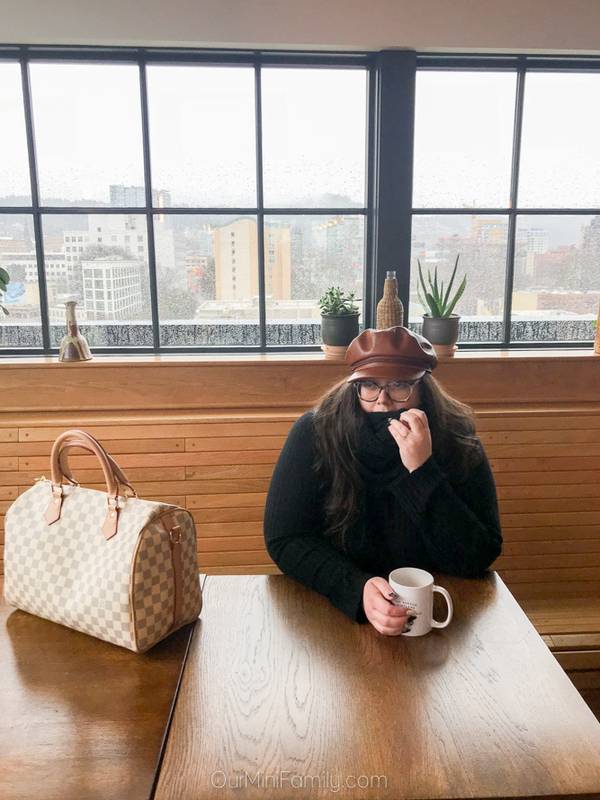 On our recent trip to Portland, I made sure to pack a box of our favorite Sleepytime tea from Celestial Seasonings in my carry on. 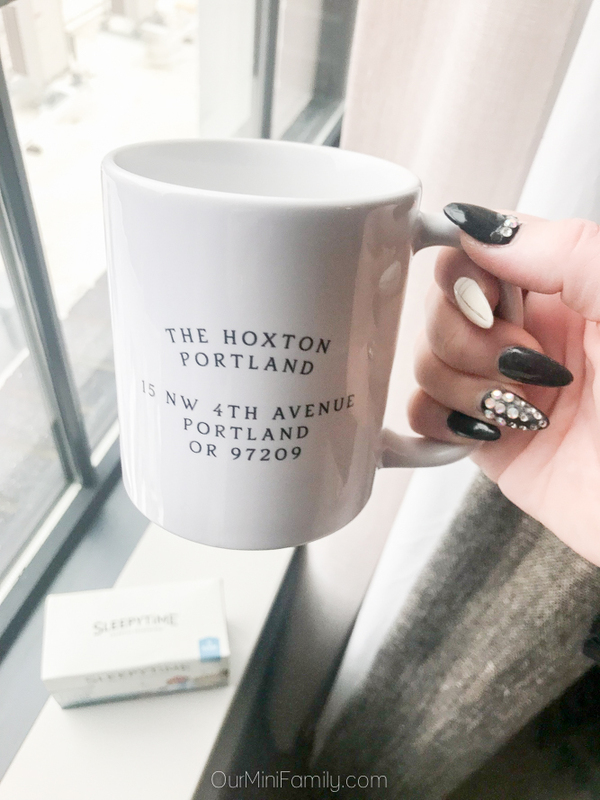 Having my tea in my carry on was perfect because once we got out of the airport and finally checked into our hotel room late at night, my mind and body betrayed me and I was wide awake once we got to our destination. We had a brewer that we used to make some hot water, and then we used the water to steep our string-free tea bags of Celestial Seasonings Sleepytime Extra. A few minutes after we enjoyed our night time tea and got dressed for bed, we finally started to relax and feel at ease enough to wind down and go to sleep regardless of the time zone change and how our bodies were on alert since we were in a new place. Depending on our cold and flu symptoms, we oftentimes even pack the Sleepytime Sinus Soother tea (or we may pack the Sleepytime Detox tea as well). 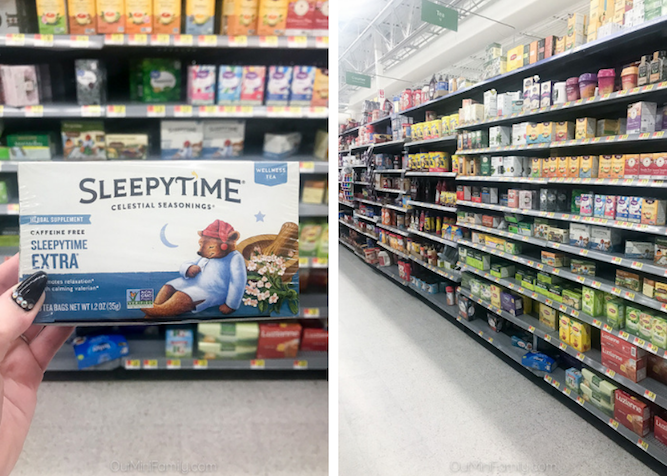 There are a variety of these teas from Celestial Seasonings, and we found a handful of different choices when we were grocery shopping at Walmart. If you are curious to learn more about these kinds of teas, the Celestial Seasonings Sleepytime Extra is made with valerian and meant to promote relaxation. 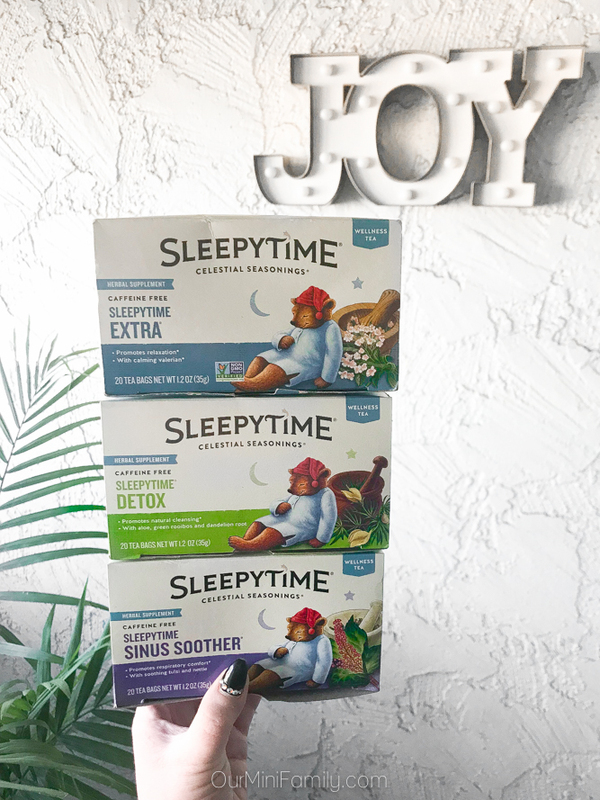 The Celestial Seasonings Sleepytime Sinus Soother is made with soothing tulsi and nettle, and it meant to promote respiratory comfort and has an uplifting menthol aroma. As for the Celestial Seasonings Sleepytime Detox, it is made with aloe, green rooibos, and dandelion root and is meant for promoting natural cleansing. All of these fairly-priced teas are free from caffeine, gluten, artificial flavors, colors, or artificial preservatives (and they have a great nutritional/caloric value, so if you have a goal to eat better this year these will align perfectly with even those stricter diets like keto and paleo). They are stringless tea bags that come packaged in recycled boxes to promote sustainability, and you can find a variety of all kinds of Celestial Seasonings teas in-store or online here available for online grocery pick up. For us, one major symptom that comes with having a cold is feeling dehydrated. Between all of the liquids rolling around our sinuses and then taking medication that leaves us feeling even more dehydrated, drinking enough water becomes a chore and it is not to be overlooked especially while traveling. Most of us tend to do the opposite when we fly--many of us try to not drink any liquids to avoid having to use the restroom on the plane. While this is understandable, it is really doing a disservice to yourself if you put a halt on drinking plenty of water while flying. Between not drinking water because we don't want to use the bathroom and the dehydration that can happen with a lack of humidity in the cabin air of an airplane, feeling dehydrated is only a matter of time. When you add in the factor of having a cold or flu or taking cold and flu medications, the chances of dehydration only increase even further which is why it is absolutely necessary to drink more than plenty of water while flying during cold and flu season. Have you ever dealt with airplane ear, or getting off of a plane feeling like your ears never popped once you landed on the ground? Well, that is already an uncomfortable feeling by itself. 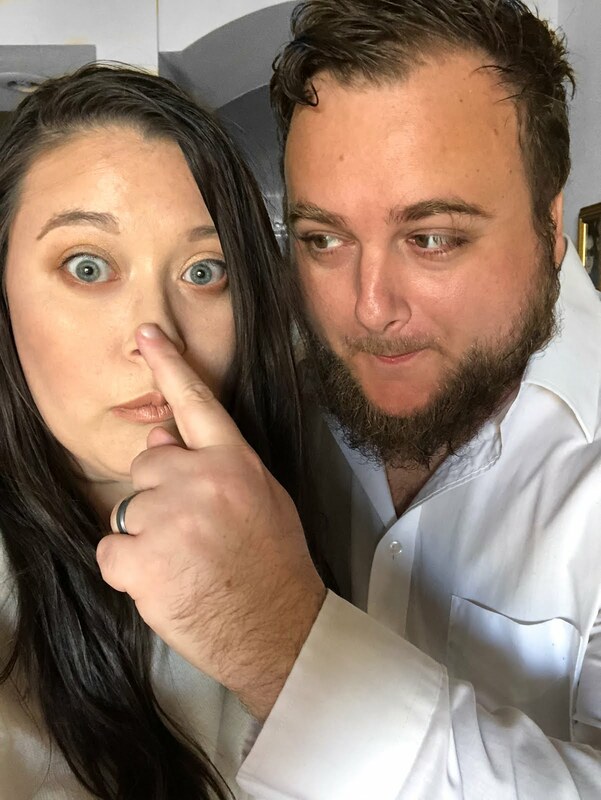 But when you add in the factor of dealing with a blocked sinus or are already suffering from a head cold, this sensation only gets worse and it could no doubt ruin your travel experience. To avoid dealing with airplane ear, what we have found that works well is to take plenty of precaution ahead of time (especially if you are dealing with cold or flu-like symptoms). For instance, if you are already having sinus congestion, make sure to take some form of medication that will loosen the mucus well before you board a plane. There are plenty of over the counter medications that can offer sinus congestion relief, as well as some over the counter earplugs specifically for airplanes. These earplugs will allow you to lower the intensity that your ears feel when you ascend and descent in a plane while changing altitudes. Also, it cannot hurt to chew gum while flying to try to reduce the likelihood of extreme airplane ear. Both Adam and I always carry a pack of chewing gum whenever we are flying regardless of whether or not we are sick, and we always have it ready to chew when we take off and when we land. The cold and flu season comes around every year, and we realize that it is cyclical in that if you get it someone in your family will get it (and your coworkers, friends, etc). We do all we can to try to prevent spreading illnesses to those we care about every day, and we should be doing the same when we travel. There are plenty of things you can do if you need to travel and you have a cold. Of course, if you are too ill to fly or your physician tells you not to travel, you should be staying home. But for a pesky cough that lingers for a couple weeks or a runny nose, canceling our flight is not a luxury that many of us have and so we follow through with our travel plans. When traveling, make sure to wash your hands regularly and you can even bring a small pack of antibacterial wipes and/or hand sanitizer with you that is TSA approved. Additionally, you can find an affordable face mask to wear that covers your mouth to wear while in the airport or flying on a plane. Also, if there is a possibility to sit in a row by yourself and away from others, putting some distance between yourself and other people may reduce the likelihood of getting someone sick or getting sick from someone else. While we cannot entirely prevent spreading or catching a cold entirely, we can do what we can that is in our power to try our best to keep our cold to ourselves. Don't forget to save this travel tips post to Pinterest and Facebook! *Disclosure: We are not making any medical claims. Please consult your physician before travel. These are such great products. I love that you included it in your packing. That's something I hadn't thought to do! I packed some tea in my carry on one time and they threw it out and wouldn't let me keep it. This is what I drink as long as there is no caffeine in the tea. We traveled a few weeks ago, and I was constantly on the kids to wash their hands or use hand sanitizer. I really like that tea, too! These are great tips. I certainly do NOT want to get sick when I travel. And I don't want to get sick when I return home either. Being sick when traveling is the WORST! I will have to pick some of this up so I can have it on hand - just in case. You are an absolute genius! I have never thought about bringing tea on a plane with me. I love that idea. I am totally going to do that the next time I travel. I'm going to have to try the SleepyTime teas. I love the idea of packing the tea in my carry on bag when I travel. Airplane ear is the worst. I always carry gum to help ease the pain of popping eardrums. 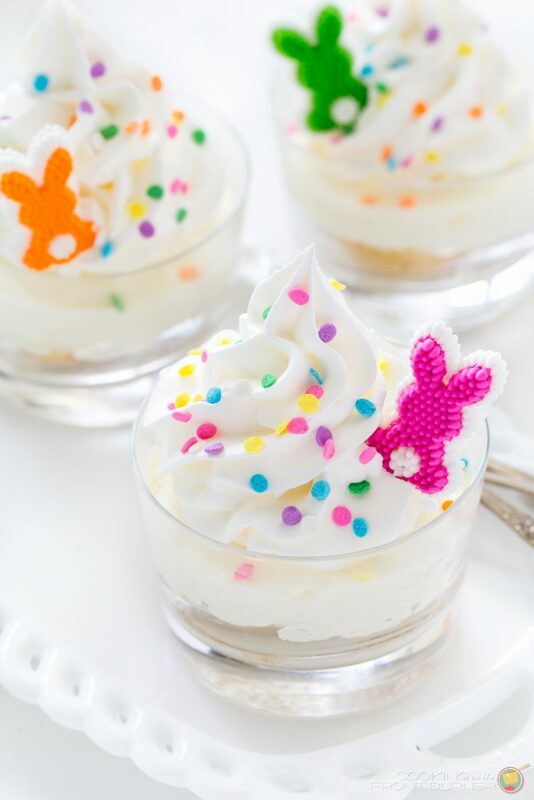 That looks like great stuff. I tend to get discombobulated in my sleep when I travel, so this would be a big help. 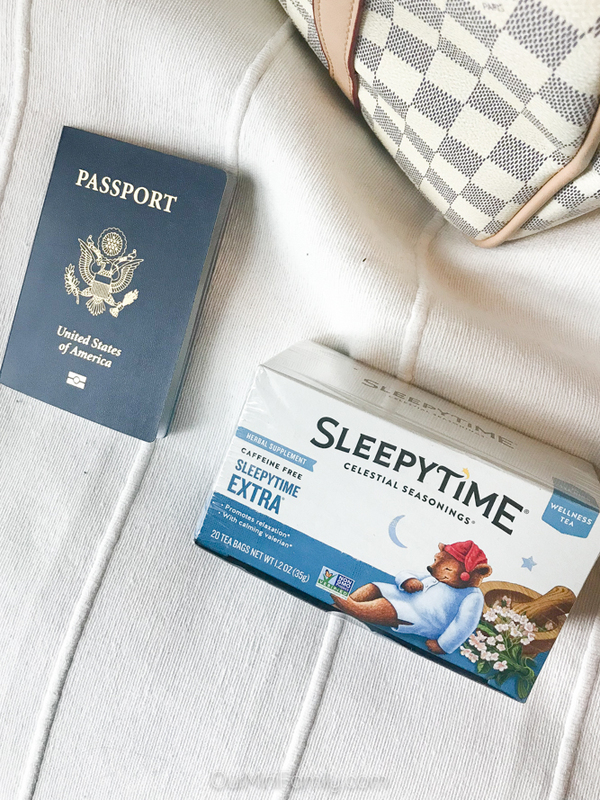 I have to admit I've not heard of sleepytime before but it really seems like a great product to have on hand if you are travelling over this season! I'll have to check it out thank you. I've been drinking Sleepytime for years and it's great. Tea is so soothing when the weather is as cold as where you are. Tea is a must when I'm feeling sick. There's something about it, since I was a kid, that helps me feel comforted quickly. I try not to travel during cold and flu season, it's always so miserable! If I do travel I try to go somewhere warm because I don't do well in cold weather, LOL! It is never fun to be sick, but being sick while traveling is the worst. My mom loves Sleepytime and drinks it whenever she's feeling puny. I'll have to let her know about the sinus soother tea. Chewing gum works magic when I fly, I never forget to bring some when we travel. I only traveled once during cold season, love all your tips. Staying hydrated is very important. And yes, I have dealt with airplane ear and it was awful. Chewing gum definitely helps. Yes drinking water is more important. Cold weather is not good for travel, but if you have to travel then there is no choice. Love all your tips.